The outside of the house is almost done. There is a lot of grading to do as well as some trim work. 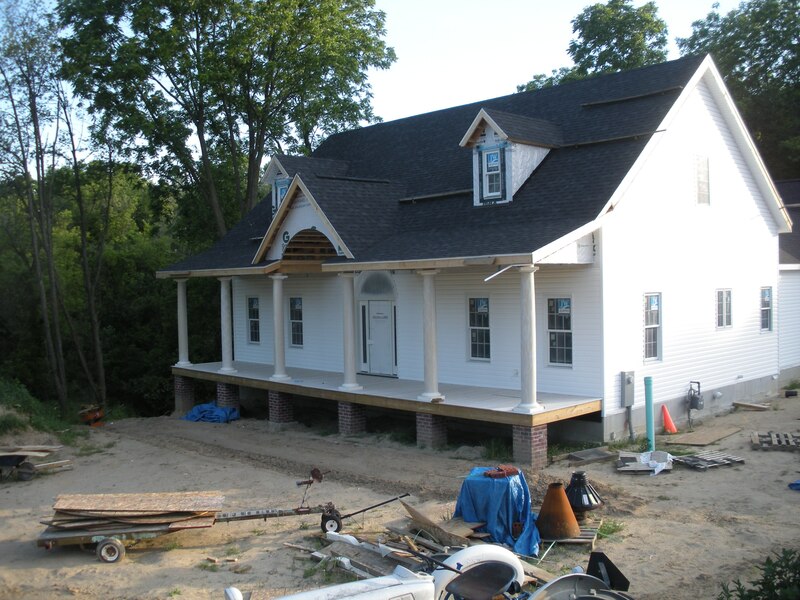 We are really liking the look of the front of the house with the Douglas Fir T&G flooring as well as the columns.